French designer Vanessa Mitrani caught the eye off many at the latest interior fairs. The glass objects in her collection No Limits feature fish swimming through the design! Her work fits in with a trend that will adorn many homes this spring; marine flora and fauna. 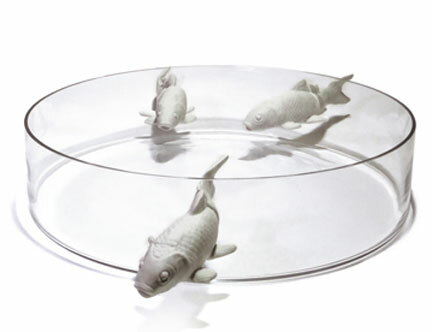 This entry was posted in Design, designers and online finds and tagged cool design, Fish bowl, french design, Glass ware, Interior design fair, No Limit, Paris fair, Vanessa Mitrani. Bookmark the permalink.